If you're planning on cooking out for a meal, plan on making appetizers using the grill as well. Rather than heating up your kitchen, use your grill to make a bruschetta or get even fancier and make your own pizzas on the backyard grill. 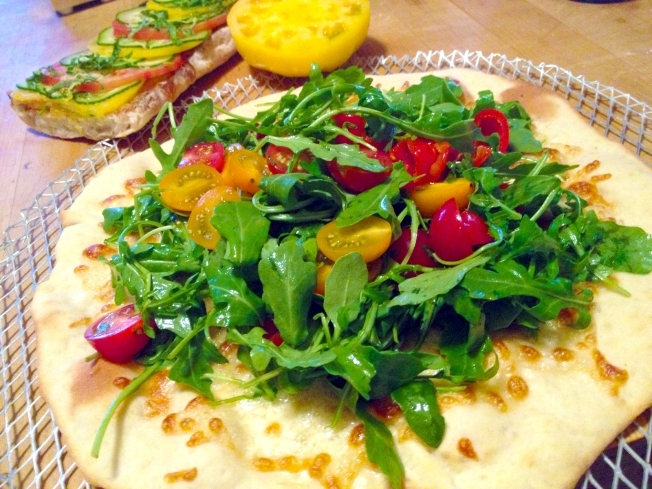 Both of these recipes start with a toasty base of either freshly sliced bread or homemade dough that is then topped with market fresh ingredients and a hint of seasoning. They are a nice and easy to prepare start to a pleasant evening outside with family and friends. 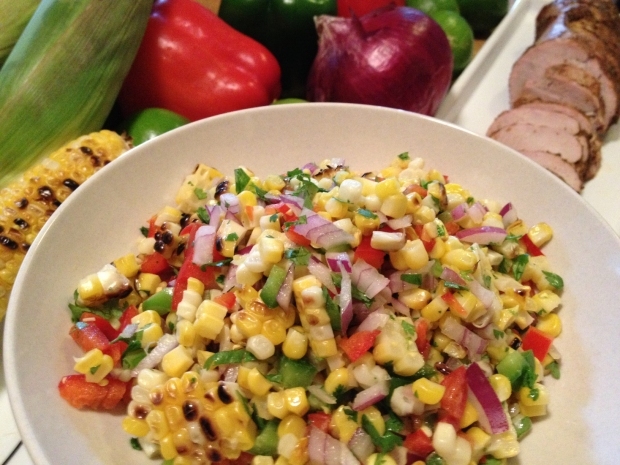 Wayne Johnson combine the smokey flavor of grilled corn into a salad. Prepare your grill. Bush the cut surfaces of the ciabatta with olive oil. Place the ciabatta on the grill, cut side down, and grill until brown and crispy. Remove from grill and rub basil into the grilled surface. Arrange tomatoes and cucumber on the ciabatta by alternating tomato slices with a row of 3-4 cumber slices. Drizzle balsamic and olive oil over cucumbers and tomatoes. Sprinkle basil and lemon zest on top and season with salt. Wayne Johnson shows you how to make Chimichurri sauce, which has recently become very popular in restaurants and sandwich shops. In a medium bowl, dissolve yeast in 1/4 cup of lukewarm water. Add 1 tablespoon of olive oil and 2 tablespoons of flour. Stir to combine. Let mixture stand for 15 minutes while yeast activates. In a large bowl, combine remaining cup of flour and salt. Pour yeast mixture on top and add 1/3 cup of water. Combine ingredients to form a dough. Generously flour a work surface. Remove dough from bowl and knead it into the flour for about 8 to 10 minutes, adding in more flour if dough is too sticky. Pour 1 teaspoon of oil into a non-metallic bowl. Rub dough in oil on all sides and then cover the bowl with a cloth. Let dough rise for about 1-1/2 hours until it has doubled in size. Prepare your grill. Divide dough into two equal portions. Roll out each portion to form a crust about 10-inch in diameter. Transfer crust to a mesh grilling screen and top with 1/2 cup of mozzarella cheese. Place pizza on the grill for 4-6 minutes or until cheese is melted and crust starts to brown. Remove from grill and place on a serving platter. Toss remaining ingredients in a large bowl. Top pizza with half of the ingredients. Repeat the process with the second crust.